Fast intricate open fell side. 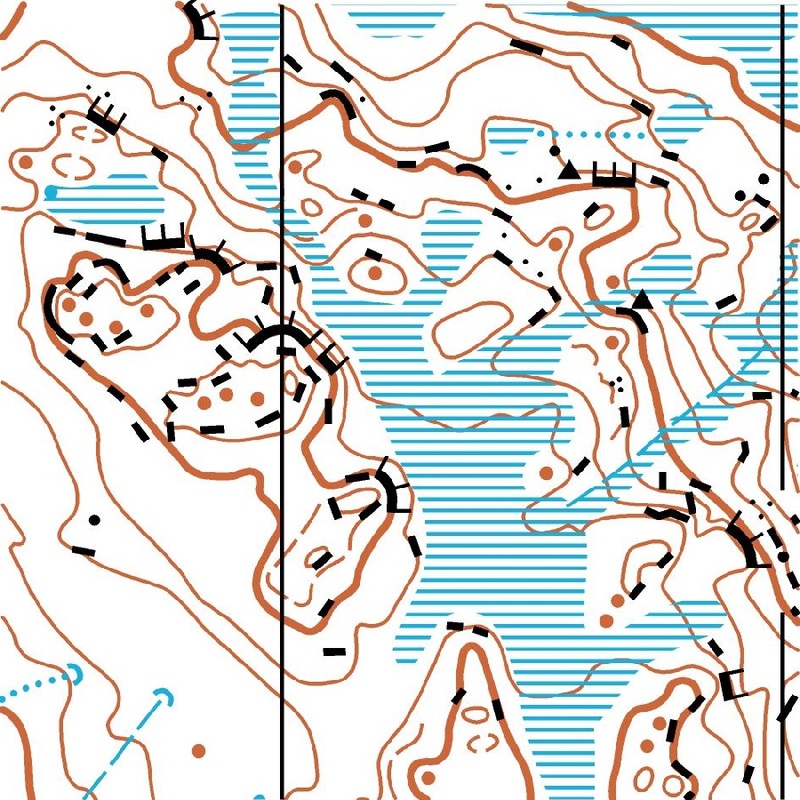 The UK Orienteering League is a competition for individuals and club teams; days 1 & 2 are part of this year’s league. Grid Ref NY 559122 Postcode CA10 3NE. Leave M6 at Junc 39 on B6261 to the A6 and turn north. Turn left, west off the A6 after 300m signed Wet Sleddale. Adjacent to the parking, toilets, traders and EOD registration. Red, Blue and Green finish 1.8km from Assembly. Open fell with much rock and contour detail. The runability is generally good though marshy areas tend to be slower especially if it has been wet. The marshes shown on the map as uncrossable have no visible surface water, making them quite hard to spot. However try not to run on them – they really are uncrossable! Quad bike tracks appear and disappear regularly. The most significant of these are marked on the map but be prepared to encounter ones that aren’t. Small crags are mapped with a short black line with no tags. The shortest of these lines could easily be confused with a boulder if you don’t look carefully. Enclosed pasture land with many walls and paths, totally separate from the area used for courses 1 to 14. Underfoot conditions vary from short grass to dense reeds. Note that reeds are only mapped as marsh where it is wet underfoot. This could confuse juniors. Since printing the event programme we have been notified that there is another ‘1500 competitor event’ on the Swindale area on Sunday as the same time. The other event follows a ‘taped route’ indicated by yellow posts. Maps will be available at the start and in the assembly area indicating the route that the other event takes; courses from the White start are unaffected and not all courses cross the route; please be courteous.